The most important aspect around modern day custom trade show exhibits is the fact that they can significantly vary regarding pricing. When you aim for a trade show exhibit, you would want to stretch the dollars invested into the trade show booth with a blend of high impact design with cost-effectiveness. To derive unmatched ROI with customized trade show booth design, you need to collaborate with the right fit booth builder. The professional agency needs to have a creative mindset, access to all of the fundamentals that you need concerning team power and tools, and the right visual concept for a successful endeavor. These methodologies can help you scale a successful trade show event without impacting your marketing budgets. With the incorporation of fresh designs, either the plan can go upwards or dive in nose first to the ground. However, new designs tend to cost lower than the ones that have been proven to succeed. If your booth builder is creative, the fresh designs can get you amazing returns. You can attract maximum visibility, have a higher volume of inquiries and let you showcase your product to a bigger audience. As an outcome, you get sustained engagement and better volume of business leads. The second challenge you are likely to face is the number of viewers that are likely to gather at your stall to know more about your USP. Without the right marketing approach and the right effort, your participation can turn out to be a huge disappointment. This is especially true if you are new in the industry and are competing with the best in the market here in the US. If your booth doesn’t resonate with the audience, they will ignore the booth and walk by and things can go from bad to worse in a matter of moments. It is essential to work closely with a trade show designer and get a custom trade show exhibit that turns the event into a lead generation magnet. You can use sales literature at the trade show booth and improve your brand impression long after the event is over. However dealing with inexperienced booth builders, you face the challenge of gross impressions. You find it difficult to capture visitor attention with a disorganized layout. A cluttered booth will result in chaos at the live event. With limited real estate available, it is important that every square inch of the booth premises works cohesively to promote your brand’s highlights, generate inquiries from interested visitors and thus accelerate on-site sales. When visitors walk by the stalls, the power is in their hands to choose which booth to visit. At modern-day trade shows, the exhibitors can apply strategic and psychological tactics and use aesthetically designed booths to stimulate the visitor to stop and take a look at the stall. This way, the visitor will not ignore the booth, be captivated by its sophisticated design, and be enthralled enough to take a peek inside. The moment a visitor steps into the booth, half the battle is won for lead generation. The remaining half will be determined by how well your sales staff pitches the product to enable the lead to convert to sales. The corporate people that are likely to attend your event ought to be highly punctual, and thus you need to offer them maximum value in the minimum amount of time. Booth visitors aren’t willing to spend a lot of time on the trade show booth, unless the prospect and presentation has a tremendous amount of potential stored within. This is why your exhibit rentals need to deliver a knockout impression in first glance itself. Poor design choices hold you back from achieving this critical goal. The only positive thing about the challenges mentioned above is the fact that they can be solved using simple out-of-the-box strategies applied by experienced booth manufacturers like Bethlehem Exhibitors. The best way to get about with ensuring ROI on the trade show booth building project is to get an estimate from the service provider before you award the construction and installation project. It is mission-critical that prices agreed upon for the affordable exhibit rental at the beginning and the final invoice amount don’t vary unless there is a logical explanation. When your final bill amount matches with the original quote, you can be sure to keep your marketing budgets on track and hence gain positive ROI from your trade show participation. 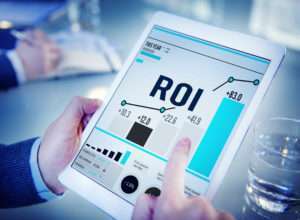 Another important ROI success driver is the synchronization of expectations versus eventual outcomes. A good booth builder will see to it that the booth will closely align with the brand persona and be a great fit to capture the particular audience that will be attending the live event. By factoring in reusability of the booth, a skilled booth builder and designer will deliver total value to business bottom-line. Uncertainty with the number of visitors is a dynamic variable which can put a lot of businesses under pressure. The best way to address this issue is to leverage digital marketing techniques and gain exposure for the event across the targeted forum. The reason why we want you to emphasize on digital marketing instead of conventional marketing is that the former is relatively cheaper and can bring forth faster results at a fraction of the cost. Moreover, the results are displayed on the go and can be witnessed in real time. Try hiring professional digital marketing experts into your team so that they can deliver credible performance to spread your brand’s visibility before the event resulting in better outcomes for your trade show participation within a short span of time. You can also hire social media managers to get your brand the requisite exposure on social media platforms like LinkedIn, Facebook, Instagram, Twitter, and Pinterest. Uncluttered layouts are perhaps the biggest ‘pull’ factors that professional booth designers can bring about for your brand. You can affect the ratio of gross impressions in your favor by providing the audience with brand accessories and knowledge resources, which should be free of cost. This will allow the audience to connect with you and interact with your plans too. The key here is the fact that everybody loves free stuff and when they get things for free, they feel intrigued to check it out, which in turn improves the buzz around your brand. Next up, you have to pay close attention to details on your presentation since it will eventually affect the ideology of the listeners and the viewers. Ensure that every aspect is evident. For better understanding, provide the visitors with e-books so that the interested individuals get a clear-cut insight into your business offerings and product lineup. Lead generation at exhibitions, expos, and trade shows is essential, and the most productive way of getting it is through creativity. You can try out simple tips like providing branded content and graphics integrated with an eye-catching booth design. Provide the visitors with charging terminals, free snacks, drinks and stuff. Try offering them merchandise. These simple gestures will ensure that the people stay hooked to your event for a longer time. At the end of it all, try installing kiosks in the event venue so that you can receive live feedback from the visitors. When the attendees are asked to provide for feedback, they are indirectly compelled to recall the entire event, and this is where a significant psychological impact can be ensured. Collaborate with the trade show booth builders to get these thoughts sorted out and implemented well ahead of the event. To address the small window of time, you need to indulge in team play. You need to work closely with your team and the exhibit rental associates to get everything on place. Have them sort out a plan for organizing event well ahead of the scheduled time. Ensure that the deadlines are crisp and do not wait for things to get done at the last moment. The team from a professional booth building agency should make use of deployable materials, which can be assembled within a short span of time. You need to be present on the floor to ensure that everybody is working in accordance to the pace needed for timely completion of the project before its pre-delivery demonstration. You need to keep an eye for detail since slacking off the standards isn’t acceptable for an event of this magnitude. Try making use of reusable trade show booths since they are easier to assemble, faster and also save a lot of money. It is essential to have things sorted out before the commencement of the event. The entire topography of the event has to be planned from beforehand itself to ensure that all elements come together beautifully in a cohesive way to accelerate your trade show participation goals. Keep track of these challenges and handy tips to enable this objective.